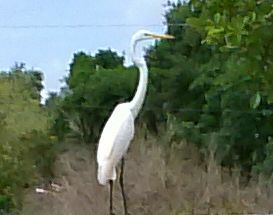 The White Heron is one of the native birds in my part of the world. Like all winged ones, this bird has a story to tell and a message to share. Sometimes in life, we have to dive deep to find our own personal truth and how we reflect that truth in our daily lives. Looking through a blurry lens of and recognizing self as either too important or not good enough, clouds the panorama that rests on the horizon. The Heron is a water bird and is encouraging you to follow along for a new flight. When you stop, have the faith to go within, fix what needs fixing and glide on. Heron reminds us “Every traveler on life’s journey is a messenger” and every destination is a new beginning.